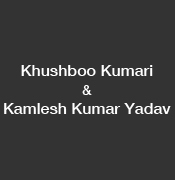 Profile of the victim : Khushboo Kumari (19) and Kamlesh Kumar Yadav (22) belonged to Majiana village of Bihar. The girl was an upper caste Brahmin and the boy belonged to backward Yadav caste. The accused : Her Father Arvind Sharma. Date of Murder : 17th June 2010. Assassination : Both the victims belonged to Majiana village of Bihar. The girl was an upper caste Brahmin and the boy belonged to backward Yadav caste. This affair was not acceptable to the girl’s family. The couple had a court marriage nearly three months back and reached village Maheru in Phagwara district recently. They started living in a room built for tubewell in the farm of Amarjit Singh, the ‘sarpanch’ (head) of a nearby village.